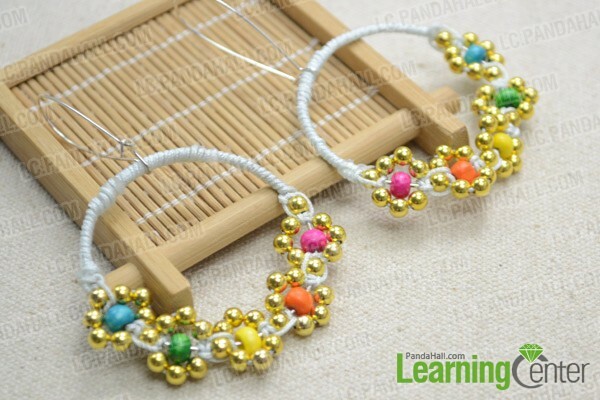 Summary: How to make a unique pair of flower hoop earrings with golden spacers and colorful wood beads? 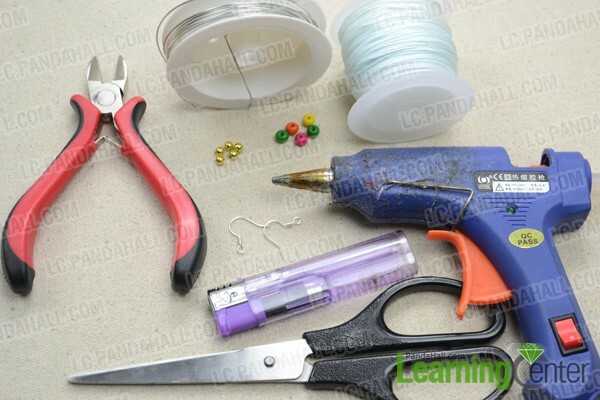 This tutorial is going to show the instructions step by step. 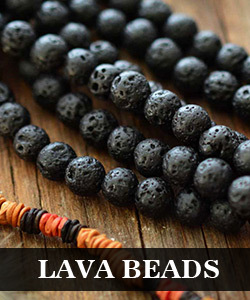 In a vesture of brilliant sunshine, I really feel that spring is coming. Today I would like to introduce a beautiful pair of flower hoop earrings which are quite suitable for the wearing in warm seasons. 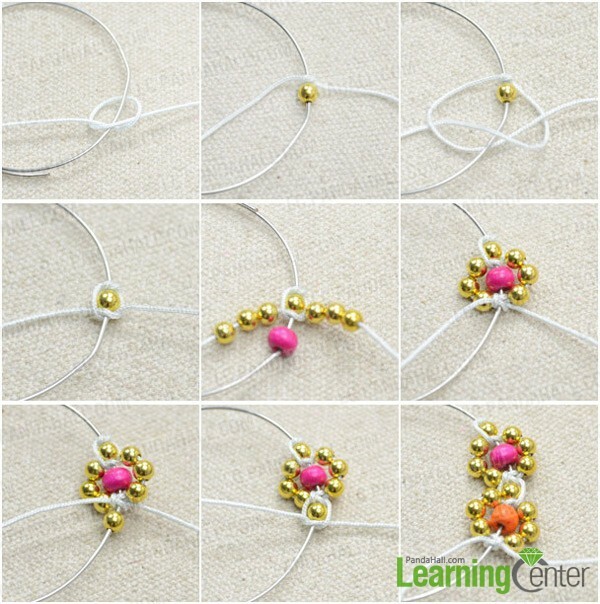 I will show you how to bead and knot the flower pattern within a few of simple steps. 2nd, cut out 2 hoops. 6th, make flower pattern in rainbow color. 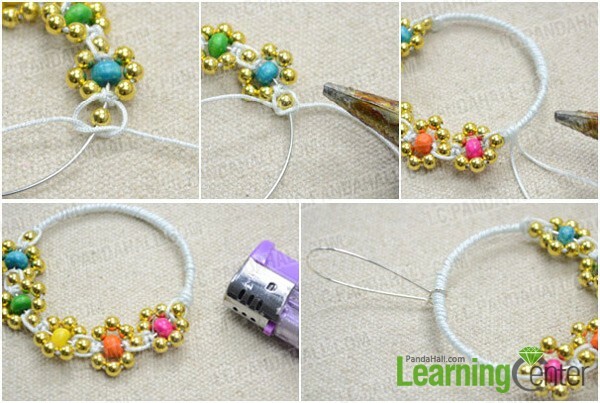 6th, attach ear hook onto the beaded flower hoop. So the beaded flower hoop earrings are done! 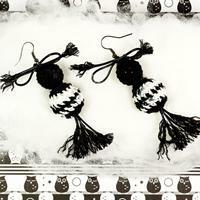 After completing this pair, I am stuck by an idea of using green thread to coil the hoops and making flowers with rainbow colored(skipping green) wood beads.